Georgia, otherwise known as the Peach State, and its 10 million residents could support a thriving real money online poker community. Unfortunately, due to its deeply rooted aversion to gambling, GA likely never will be the legal real cash Internet poker haven its citizens want it to be – at least not until the Federal government gets involved. With that said, the entire United States is in a state of flux with regards to gambling and lawful poker betting websites in 2019. Over a dozen states that once opposed the erection of casino resorts that included real money poker gambling tables have either approved legislature allowing for their construction or are weighing in on the issue. Others, like Nevada, New Jersey and Delaware have already regulated online real money betting and gambling. And yes, even Georgia is at least musing about the potential benefits of opening a commercial casino with a legit poker room for Texas Hold’em poker and other real cash poker gambling. That doesn’t mean they’ll ever pass a bill regulating online gambling and Internet poker, but it’s a small step in the right direction for GA poker betting fans. But as of the time of this writing, Georgia’s anti-gambling and anti-legal poker website stance is among the strictest of any state in the Union. It’s not all peachy in Georgia when it comes to clearly defined gambling laws. Even so, Georgia residents will be able to try their luck at some of2019‘s best real money US poker websites. 1.1 Can Players From Georgia Play Online Poker? 1.2 Is Online Poker Legal In Georgia? In 2012, Republican voters in GA narrowly voted in favor of using revenues from casino and real money poker gaming to fund education . It marked the first time in state history that Georgia voiced its support of legal real cash poker and gambling in any way. Unfortunately, the vote would have little influence on state legislators thinking about making Internet poker legal and letting GA residents enjoy real money poker betting. In a statement recorded shortly after the results of the vote were tallied, Governor Nathan Deal reminded Georgia’s citizens that he would not support the construction of casinos or poker gambling rooms within The Peach State, and that a much larger approval margin would be required among legislators before a bill relating to real money offline and Internet gambling could take root. Several months earlier, developer Dan O’Leary unveiled his plans to build an entertainment facility in Norcross . The $1 billion poker betting and casino gambling hub would feature a staggering 7,500 video lottery terminals. While some believe that a real money legal poker room and casino would have a degenerative effect on Georgia’s citizens, there are others who see them as a means of righting the state’s economic woes. This could be a good sign of things to come because if GA want to use real money poker and gambling to make money for the state, then opening a lawful Internet poker website regulated by GA would be a great way to boost the budget. O’Leary falls into the latter category and agrees that legal betting on casino games like Texas Hold’em poker could help Georgia out of their money trouble. He argued that his real cash betting casino could generate $350 million a year for the state’s fledgling college scholarship program. As of 2019, no legislation has been passed that validates the existence of a land-based casino or legal poker room. If anything, Georgia has spent more attention on enforcing laws that regulate existing real money video poker terminals than it has to the whole casino gambling debate . Can Players From Georgia Play Online Poker? Surprisingly, most if not all US facing poker sites accept real money poker players from the Peach State in 2019. Someday there might be Federal legislation in place that regulates online poker and makes US Internet poker websites legal. But until then, residents of Georgia will have no problem creating an Internet poker account, depositing funds to play real money poker with and finding a juicy cash game of Texas Hold’em poker or any of the other popular Internet poker variants. And while we can’t guarantee that you’ll always win when you’re gambling at the poker website tables, we can ensure that we’ve personally analyzed each and every 2019 Internet poker betting site, and are confident that the ones on our recommended list are among the very best for real money poker fans in GA to play at. Georgia’s gambling and poker betting laws as they stand now in 2019 are among the severest we’ve seen. And while there are no GA laws that specifically target online poker websites, there is speculation that Georgia will amend its gambling laws to criminalize online gambling and real cash Internet poker. Listed below is a quick summary of Georgia’s most noteworthy gambling and poker betting laws. 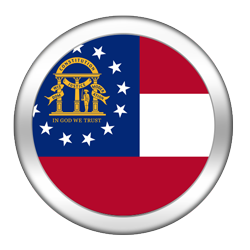 Please note that in order to fully understand Georgia’s gambling laws and how they pertain to online poker and real money Internet poker gambling, we recommend that you seek the consul of a legal professional well-versed in all such legal poker matters. Georgia’s gambling statues do not provide a definition of gambling. However, one can be deduced by combining the definitions of bet, gambling device, and gambling place. Bets are defined as an agreement that, dependent upon chance even though accompanied by some skill, one stands to win or lose something of value. The use of the word skill implies that games like Texas Hold’em poker and other poker variants both offline and on poker websites are covered under the definition. Section 16-12-20 (1). Gambling devices are any contrivance which for a consideration affords the player the opportunity to obtain money or other thing of value, the award of which is determined by chance even though accompanied by some skill. Section 16-12-20 (2). A Gambling place is any real estate, building, room…or other property whatsoever, one of the principal uses of which is the making or settling of bets. Essentially, any piece of owned property where a wager is made can be classified as a gambling place. Gambling on any game that involves cards, dice or balls, including poker betting, is considered a criminal offense, and anyone who commits the offense of gambling shall be guilty of a misdemeanour. Based on the gambling statues, playing poker in any capacity, whether at an underground club or a non-raked home game, is illegal in Georgia, as is online Internet poker in [grtYear]. For that matter, according to Georgia’s penal code playing just about any game where real money betting or gambling with anything of value is involved is considered a crime. And while we aren’t certain to what degree the laws are enforced, we can say with confidence that anyone caught gambling and betting on poker or casino games will have a difficult time finding loopholes in Georgia’s gambling statues. For a more thorough look at Georgia’s gambling codes and GA’s stance on Internet poker and real cash poker offline games, please click on the following link . There was a time when gambling and betting ran rampant throughout Georgia. In the late 1800s and early 1900s, residents of the state gambled on a variety of card games including real money poker, athletic events and races. During that time, it became common practice for casino and poker room establishment owners to pay off law enforcement agents to look the other way because those poker games were far from legal. In the early 20th century, Thomas Lee Bailey (1865-1945) – an influential and outspoken newspaper editor and local leader – used his widely read Cochran Journal as an outlet for his opinions. In it, he would frequently call for stricter controls on poker and casino gambling and alcohol. The state listened. By the 1930s – a time when most other states were loosening their position against real money poker and gambling due to the Great Depression- Georgia became one of the most anti-gambling states in the Union. Since then, not much has changed. In 1992, Georgia regulated the sale of lottery tickets. And while the lottery has remained popular among Georgia’s citizens, GA State has proven very hesitant to expand its gambling operations into popular areas like real cash Internet poker websites and legal gambling outlets. In more recent headlines, authorities in GA have recently begun cracking down on Internet Cafes that allow patrons to play online poker and access Internet poker websites. The only forms of regulated gambling in Georgia are charitable bingo, raffles and the lottery. Casino nights, pari-mutuel betting, commercial casinos and even home poker games are all considered illegal in Georgia, rendering the state’s gambling offerings unattractive to those who thrive on action. So, perhaps in 2019 GA isn’t the best place for real money poker gambling fans to settle down. Locals have begun making noise over the lack of regulated gambling and lawful poker options in the Peach State, but until their whispers become a deafening roar, it’s doubtful the state will alter its position, or even take notice. Georgia is not a very friendly state for US online poker players, which means you’ll want to be wary of engaging in real-money online poker. The odds of legit Internet poker and real cash online poker betting making its way to Georgia, either in 2019 or at a later date, are almost as bad as winning its state lottery. In fact, it’s more likely that GA will prohibit online gambling and poker websites altogether than it is to regulate the Internet gambling market in Georgia. However, due to GA State’s poor economy and suffering HOPE scholarship program , government officials may eventually decide to brush their issues with gambling and real cash poker like Texas Hold’em aside, and allow for the construction of a land-based casino and real money poker gambling room. But that’s a big “if”. Seasoned mixed-games real cash poker specialist David Bach hails from Athens, Georgia . After playing on the WSOP and WPT poker gambling circuits for over a decade without a win, Bach would score his first major title in grand fashion when he took down the 2009 WSOP $50,000 H.O.R.S.E World Championship. For his monumental legal poker achievement, Bach received $1.277 million and an exclusive gold bracelet. Since then, Bach has made it to final table at three other WSOP events, none of which were decided over NLHE poker betting. A slim majority of Georgia’s residents are in favor of gambling expansion and a move towards legal poker websites where GA residents can do their real money poker betting in a regulated Internet poker environment, but that doesn’t change the fact that the current Governor and most state officials are not keen on lawful Internet poker in the Peach State. Georgia’s economic woes offer gamblers and poker betting fans a glimmer of hope, but given the state’s gambling laws, general position and history, it appears significantly unlikely that it will ever regulate online poker and make real money Internet poker legal. 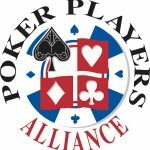 In a more likely scenario, GA’s real cash poker players will travel to nearby Florida to get their online Internet poker fix at their legit poker websites because the possibility of regulated poker websites and legal real money poker gambling in the iGaming market in the future is very real there.